TRUD JSC produces a wide range of dense and lightweight refractory products and materials, as well as clinker paving products. TRUD JSC was established in 1893. The company started its business as a joint venture company for production of building materials. 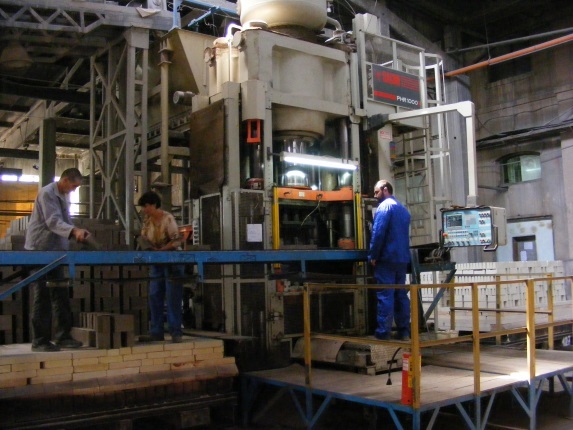 In 1897 the market required the development of a new kind of industry - Refractory bricks. 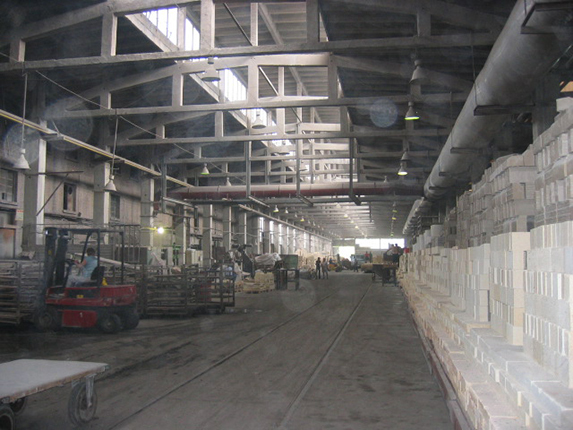 The name of TRUD permanently binds to the foundations of the refractory industry in Bulgaria. Today TRUD is a joint stock company with over 220 employees. Two tunnel kilns are installed in the factory with a production capacity of 15 000 and 50 000 tonnes per year. The company has its own railway track. The factory area is 72 000 m2, of which the production area occupies 9 000 m2. In order to improve the quality of the production the company permanently makes investments in equipment to improve working conditions and for training of the personnel. The highly qualified team of engineers, mechanics and constructors work for the improvement and integration of new manufacturing technologies. The quality of production is guaranteed by continuous control – initial at the supply of raw materials, running at the production process and final inspection of the ready products. The company’s own chemical and physical lab supervises all of these processes and constantly monitors the values ​​of the relevant indicators. This ensures that the technical parameters of the final products are in accordance with the established standards and customer expectations. 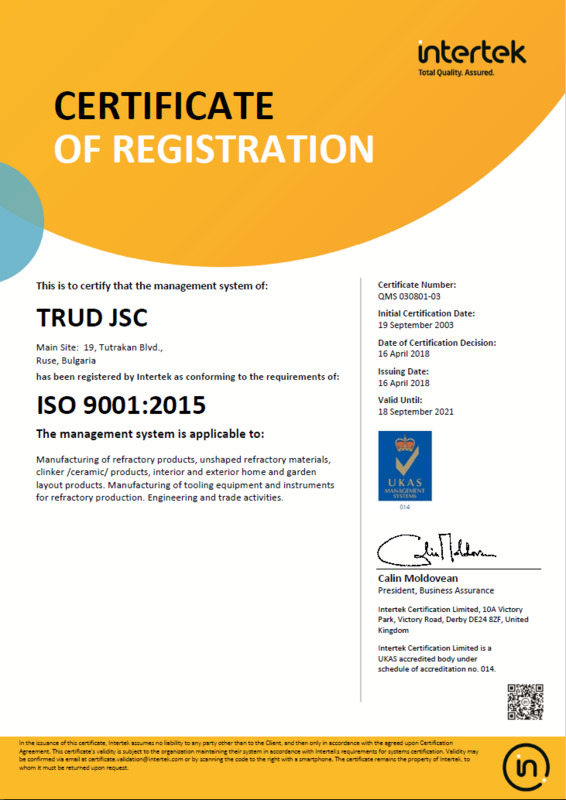 TRUD JSC has become a preferred partner on the market thanks to its high professional skills, commitment to customer requirements and the continuous improvement process. Such are the goals of our certified quality management system in accordance with the requirements of international standard ISO 9001:2008. The main application areas of our products are the following sectors: metallurgy, steel casting, energy production industry, cement and lime production, glass industry, machinery, fine ceramics, construction ceramics, oil refining and chemical industry and architectural design. Our clients include more than 40 Bulgarian enterprises and more than 20 foreign companies from Austria, Hungary, Italy, Romania, Serbia, Macedonia and Greece. Key advantages of TRUD JSC are the proximity of the Danube river, Port Ruse East, Danube Bridge, Duty Free Zone Ruse and the location along the pan-European transport corridor № 9. In the late 19th c., there were two small factories 4 km east of Ruse’s center: the brick company of Todor Ivanov from Ruse, and the cement products factory of the Austrians Max Epler and Adolf Kafka. In 1893, a group of industrialists and bankers from Ruse registered their merger into the Trud JSC. 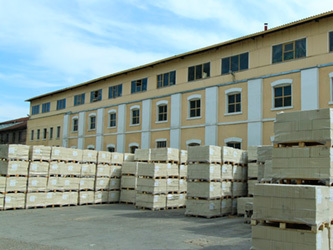 The new factory manufactured construction bricks, Marseille roof tiles, cement mosaic products and the first fireproof industrial furnace parts. It took a decade of financial and technical problems before the Trud JSC turned into a modern factory making high-quality products. Gold medals from industry fairs followed in a row: Liege in 1903, Milan and Bucharest in 1906, London in 1907. The reason for its success was the long-term vision of some of its investors: Burov, Gubidelnikov, Sharankov and Tsankov. In the 50 years that followed, the Czech experts Vaclav Tranca – father and son – introduced modern technologies and total discipline. In 1947, the industrial companies were nationalized and the Trud factory became a state-owned factory for ceramic products. The dynamic planned economy resulted in a significant production growth; the share of fireclay products had a manifold increase. As of 1966 onwards, the factory got specialized in fireclay products only. The reconstruction and upgrading process that followed took 15 years because of insufficient funds and limited construction capacity. The effect was the introduction of semidry forming and the construction of the largest high-temperature tunnel kiln in the Balkan Region, of annual capacity of 60,000 tons. The changes in the late 20th c. found the factory in a difficult situation. The market collapsed, while the existing equipment was inadequate for small-volume production. The de-capitalization process kept growing. ;The company’s privatization was a challenge for its new management team. The long-term investment plan that was adopted included rapid upgrading of the production and administration facilities, preservation of the market standing, winning new clients and growing revenues. Major investments of more than a million levs were made even in the first three years. They were mainly focused on rehabilitation of the production equipment to ensure normal operation, and on procurement of new environment-friendly production lines. The investment was based on interest-free funding for environment protection activities. Diverse measures were taken for better working conditions. The successful finalisation of such key investments has opened the investment strategy to the second and third phase oriented to upgrading the main production facilities, namely the presses and the plant premises. Between 2005 and 2006 capital investments exceeding three million levs were made in TRUD JSC. The good business relations with SACMI Group (Italy) resulted in the investment in two modern presses – 1000-ton and 500-ton; the investment exceeded two million levs. In addition several effective reconstruction activities were performed in the production premises, like: upgrading of the second dosing process line, a belt-transport line, an elevator, press-loading equipment, a new screw compressor, routing machines, kiln carriages, etc. The 2008 global economic crisis slowed down the company’s growth. Nevertheless the investments and the upgrading processes did not stop. Regardless of the unfavorable environment, joint investments were made in partnership with the INTIS Ltd. to incorporate the Intis-Trud Ltd., a joint stock company active in concrete production that has enabled much wider business positions. The investment was a success. The new cutting-edge concrete depot manufactures high-strength concrete of the highest class and parameters. The rolling stock of the company was also in the investment focus. For a period of 10 years, nearly 900,000 levs were invested in modern gas tank trucks, automobiles, trucks, vans and vehicles to transport employees. After three years of difficult challenges, the economic crisis had the effect of a catalyst on the largest and most urgent strategic intention: to build an advanced power-saving tunnel kiln. The flexible financial management enabled the funding for this expensive equipment that stabilized the company and took it to a completely different level. The project started in the late 2011 with a customized purchase order to RIEDHAMMER, one of the world-leading industrial furnace producers. The investments made in the recent decade amount to nearly 10 million levs, which have completely transformed the company. Yet the most valuable investment for the company are its people – workers, specialists, experts, who have worked for the progress of the company and for establishing the company as a leader in the local market and a reliable partner of leading international companies through the years. Today, TRUD JSC employs to more than 220 people, including whole families. With constant investments in equipment, technologies and innovations the company continuously increases its capacity and expands its market positions. 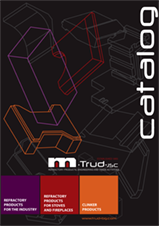 Positions, which keep the brand name "TRUD" as a symbol of reliability, quality and innovativeness for 120 years now. TRUD JSC produces chamotte refractory products for the industry. These are used in the steel industry, energyindustry, kilns and furnaces construction, cement production and glass industry. 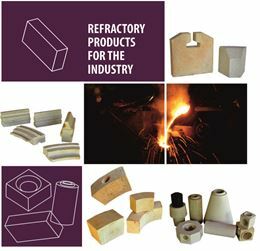 The factory produces high acid proof items and products from refractory concrete. The company has extensive experience in the development and design of refractory products for thermal units and aggregates. The engineers and constructors of the company develop specific products according to the client’s drawings offering different technological solutions, forms and technical parameters to fully meet customers’ requirements. All the products are then tested in the company’s own chemical-physical laboratory and can be produced by TRUD JSC. The company develops, designs and manufactures tooling equipment for molding and stamping of different types of products for the refractory, ceramic and many other industries. TRUD JSC produces more than 300 kinds of products for stoves and fireplaces. The products are designed for the operation of burning chambers heated by wood, coal or briquettes (pellets). They are characterized by operation temperature of up to 1250 o C, which determines their durability. The raw materials used in the production process are clean and safe - do not emit harmful and carcinogenic substances. The company has developed wide range of models with channels for circulation of the air flow and with smooth surfaces. TRUD JSC produces items for stoves and fireplaces according to clients’ drawings. The refractory bricks are characterized by precise dimensions, excellent physical and mechanical properties and durability. 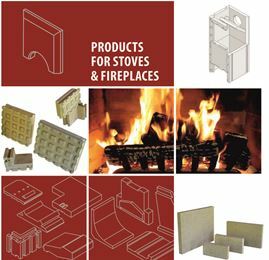 These products are used in the production of the biggest Bulgarian manufacturers of stoves and fireplaces, as well as by leading European producers. TRUD JSC has a long tradition in the manufacturing of clinker products dating back to the beginning of the last century. In recent years, the company’s specialists have developed and improved the production technology in accordance with the European standards. For the production of the clinker products the company uses only natural materials - without artificial additives and colorings. 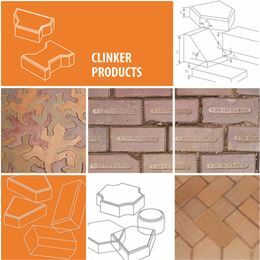 Today TRUD JSC offers clinker products for pedestrian areas, streets and facades in two series: CLASSIC and AVANGARD. The products from series CLASSIC are produced by classical technology and are offered in universal forms. The products from series AVANGARD are produced in advanced technology which has been developed to satisfy a wide range of customer requirements regarding forms and feasibility, for the implementation of various architectural solutions. The products of both series meet all quality standards for clinker products. 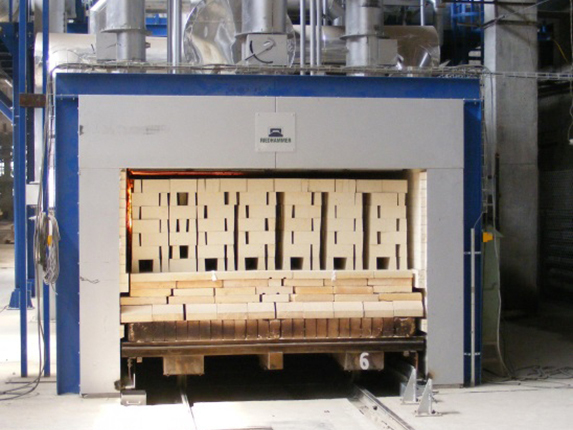 Chamotte products have their application in building of different kind of kilns and thermal units: masonry of blast and coke furnaces, air heaters, furnaces for fine ceramics and refractory products. They are also in use for lining of steel casting ladles and cast iron buckets, cupola furnaces, cement, lime and glass furnaces and boilers fireplaces. TRUD JSC develops products according to clients’ requirements and drawings. The chamotte refractory items, produced by TRUD JSC are with content of AL2O3 from 28 to 45% and maximal operational temperature of 1250° С. They are produced from high quality local and imported raw materials. We produce full range of standard shapes with lengths 220, 230, 250 and 300 мм., as well as the respective wedges, skews and radial bricks. These are used for building of different kinds of furnaces and thermal units in metallurgy, cement and lime production, glass industry, power energy production and etc. These products are developed especially for lining of kilns for melting of iron cast and ladles. The high dimensional accuracy allows the masonry to be built with a minimal joint. These are produced usually according to clients’ requirements and drawings. They are used for building of different kinds of thermal units and facilities. These products operate in direct contact with the molten metal, and therefore are characterized by a good thermal and slag resistance. High dimensional accuracy allows the masonry to be built with a minimal joint. They are used for lining of iron and steel casting ladles. The dimensional accuracy in the assembly of the elements of the gating system ensures optimal conditions along the path of the liquid metal. Because of the direct contact of these products with the heat wires they are produced with very pure materials. They can be used in furnaces with maximal operational temperature of up to 1200° C.
These products are produced according to clients’ drawings and in accordance with the model of the boiler and operating principles. The maximal operating temperature is 13500 C.
These products are produced in accordance with client’s drawings depending on the kiln cars lining. These items have a high thermal resistance and low coefficient of thermal expansion /CTE/ suitable for temperature changes met by the kiln cars. Chamotte mortars are supplied in bags of 20 kg. Chamotte fractions are produced according to clients’ requirements. These are supplied in bulk or in containers “Big Bag”. The company offers its clents fractions with different granulometric content. the production process are clean and safe - do not emit harmful and carcinogenic substances. smooth surfaces. TRUD JSC produces items for stoves and fireplaces according to clients’ drawings. as well as by leading European producers. All the laying methods can be combined with the clinker products by TRUD JSC in different joint modifications. The classic way to place the clinker is in sand beds, with or without joints. The clinker pavement can be combined with some other elements like stones, wood, water. The modern way is to place concrete as a base and to arrange the paves over it. The joint can be filled in with dry cement or wet cement solution mixed with different clays. Leading goals for TUD JSC are the establishment and maintenance of long-standing and loyal business relationships. Our partners are the guarantee of the quality of our products! Clients and partners of the company are more than 40 companies in Bulgaria and more than 20 European companies from Austria, Italy, Hungary, Romania, Serbia, Macedonia and Greece. 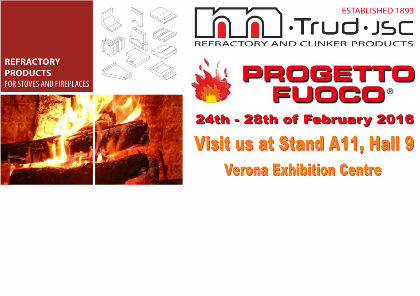 TRUD JSC will take part in the 10th edition of PORGETTO FUOCO FAIR – the only global event for the wood-fired heating industry, 24-28 February 2016 – Verona, Italy. We will attend as an exhibitor and will present our products for stoves and fireplaces. It will be a great pleasure for us to meet our partners and potential customers at Stand A11, Hall 9 in Verona Exhibition Centre. 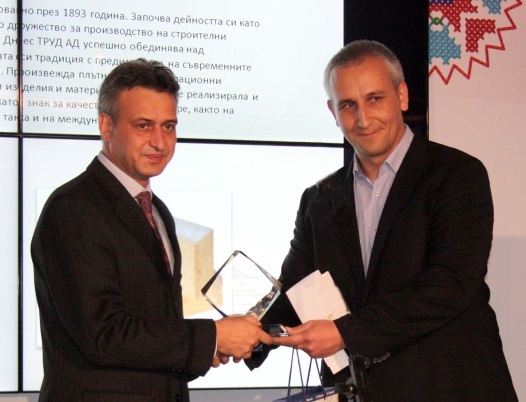 TRUD JSC won the prize in the category "Medium and large enterprises" in the "Best Bulgarian company of the Year." award. It was organized for the second consecutive year by First Investment Bank and was attended by 111 Bulgarian companies. 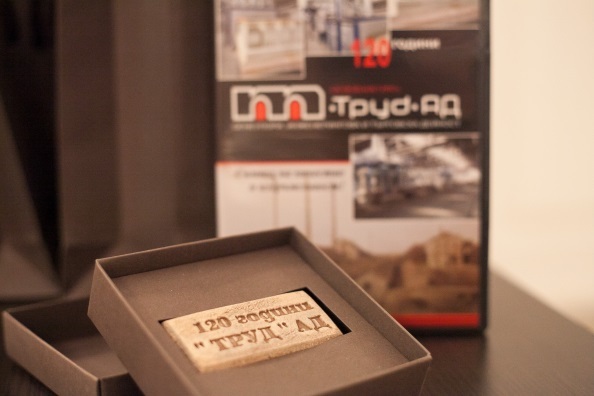 On October 24, 2013 at a solemn ceremony TRUD JSC celebrated the 120th anniversary of the company. The event started at 16:30 in the production workshop with the official opening of the new tunnel kiln RIEDHAMMER - an investment of 3.5 million lev. At 18:00 in "Europe" Hall in Income building started the official cocktail-party attended by Mr. Vencislav Kaltchev - Governor of Ruse District, Mrs. Aylyan Karamehmedova and Milena Hinkova - deputy Governors of Ruse district, Mr. Plamen Stoilov Mayor of Ruse Municipality, Mr. Svilen Ivanov – deputy mayor. Today in TRUD JSC work more than 220 employees, most of them with over 10 years of experience in the enterprise. The company offers very good working conditions and as a result of this whole families have found their professional career in the factory. TRUD JSC offers a wide range of opportunities for your professional development. If you are interested in working for TRUD JSC, please visit regularly this section of our website for available positions. Currently there are no available positions at TRUD JSC.